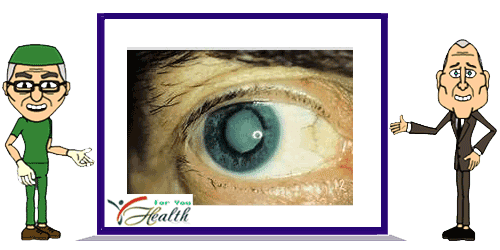 Home Eye When is it Time for Cataract Surgery? Almost everyone who lives a long life will develop cataracts at some point. As more Americans live into their 70s and beyond, we all need to know a few cataract basics: risks and symptoms, tips that may delay onset, and how to decide when it is time for surgery, so good vision can be restored. In honor of Cataract Awareness Month, we encourage Americans to know their risks, especially people who have diabetes, smoke, or have a family history of cataracts. When you have a cataract, your vision may appear clouded and blurry like in the image below. Get a baseline exam if you’re over 40. It’s recommend that adults with no signs or risk factors for eye disease get a baseline screening exam at age 40—the time when early signs of disease and vision changes may start to occur. During this visit your Eye M.D. (ophthalmologist) will advise you on how often to have follow-up exams. Be informed about when to consider surgery. This decision is up to each person based on his or her daily activities and their related vision needs. After age 65, most people will see their Eye M.D. at least once a year, where they will have their vision tested and learn whether cataracts are developing. The Academy’s consumer guide to cataract surgery offers more information.